This name uses Spanish naming customs: the first or paternal family name is Besteiro and the second or maternal family name is Fernández. Julián Besteiro Fernández (21 September 1870 – 27 September 1940) was a Spanish socialist politician, elected to the Cortes Generales and in 1931 as Speaker of the Constituent Cortes of the Spanish Republic. He also was elected several times to the town council of Madrid. During the same period, he was a university professor of philosophy and logic, and dean of the department at the University of Madrid. Born in Madrid, he was educated in the Institución Libre de Enseñanza, and studied in the Faculty of Philosophy and Letters at the University of Madrid, as well as at the Sorbonne in 1896, the Universities of Munich, Berlin and Leipzig in 1909-1910. 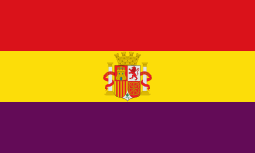 In 1908, he joined the Partido Radical (Radical Party) established by Alejandro Lerroux. He became a member of the Agrupación Socialista Madrileña (the socialist circle in Madrid) in 1912. That year he was offered the Chair of Fundamental Logic in the Faculty of Philosophy and Letters at the University of Madrid. Soon after, Besteiro became a member of Unión General de Trabajadores (UGT) trade union, and of the Spanish Socialist Workers' Party (PSOE). In 1913 he married Dolores Cebrián, a professor of physics and natural science at the teachers' training college in Toledo. In 1917, after the general strike, Besteiro was among many members of the strike committee tried in Madrid; he was convicted and sentenced to life imprisonment. Following his release under the amnesty campaign, he was elected as a member of the town council of Madrid. The following year, Besteiro was elected to the Cortes Generales (Spanish Parliament) as deputy for Madrid. During the dictatorship of Miguel Primo de Rivera, Besteiro favored collaboration by the socialists with the leader. Primo de Rivera offered UGT participation in governing the country. To a certain extent, the arrangement in the mid-1920s appeared to be a success. Opinion within the PSOE turned against Besteiro as the Primo de Rivera regime became more unpopular during the economic downturn as part of the Great Depression. In 1931 he was elected a councillor of the Madrid town council. Still serving in the Cortes Generales after the establishment of the Second Spanish Republic in 1931, Besteiro was elected Speaker of the Constituent Cortes, empowered to draft a new constitution. During his period as President of the Cortes, he seemed to become more conservative in his political views. In January 1934, he resigned as President of the UGT. Opposing the radicalization of the Socialist movement, he disapproved the socialists' taking part in the armed uprising of October 1934. In February 1936, Besteiros won the highest number of votes of any candidate in Madrid in the Popular Front elections. Throughout this period, Besteiro had continued to work in the University of Madrid as a Dean of the Faculty of Philosophy and Letters, as well as to carry out his duties as a parliamentary deputy and councillor of the town council in Madrid. After the Spanish Civil War broke out in 1936, and against the urgings of friends, he refused to leave Madrid and seek exile. Manuel Azaña, the Spanish Republican President, chose Besteiro as the representative to the coronation of the new British King George VI in London on 12 May 1937. Besteiro believed it was to be a peace mission. There he met with Sir Anthony Eden to seek British aid in ending the war, which had attracted German and Russian support of the opposing sides, but no significant results followed. After the failure of his mission in London, Besteiro returned to work on the town council of Madrid but withdrew from other official public life. He stopped attending the Agrupación Socialista Madrileña and the parliamentary group meetings. After the fall of Madrid to the Nationalists on 28 March 1939, Besteiro was arrested by Francoist forces. On 8 July he faced a court martial and was sentenced to thirty years. He was imprisoned first in the Trappist monastery in Dueñas, Palencia, until the end of August 1939. He was transferred to the prison of Carmona. He died in prison the following year. Besteiro was buried in the Cementerio Civil of Madrid. Wikimedia Commons has media related to Julián Besteiro.